This week's meal was so exciting to make and eat! A few months ago a friend brought into work some oxtail stew for lunch and I was intrigued! I enjoy using different cuts of meat and usually the scraps such as these can be oh so tasty! This was a recipe that was developed at one of Jamie's Fifteen restaurants and it is definitely worth the wait! Like most stews it's really little effort just the time it takes working the magic. I have also been wanting to try some pasta or gnocchi for a while and was amazed at how good it turned out. In this case I did not have a ricer so grated my potatoes instead (after a little research) and this worked quite well with very few lumps. I think next time I will aim to buy a ricer for that smoother mouth feel. The oxtail is the hero of the dish with a rich flavoursome stew and the gnocchi gives it a variance in texture which was a delight to eat, 10/10 all round! Preheat oven to 220°c. 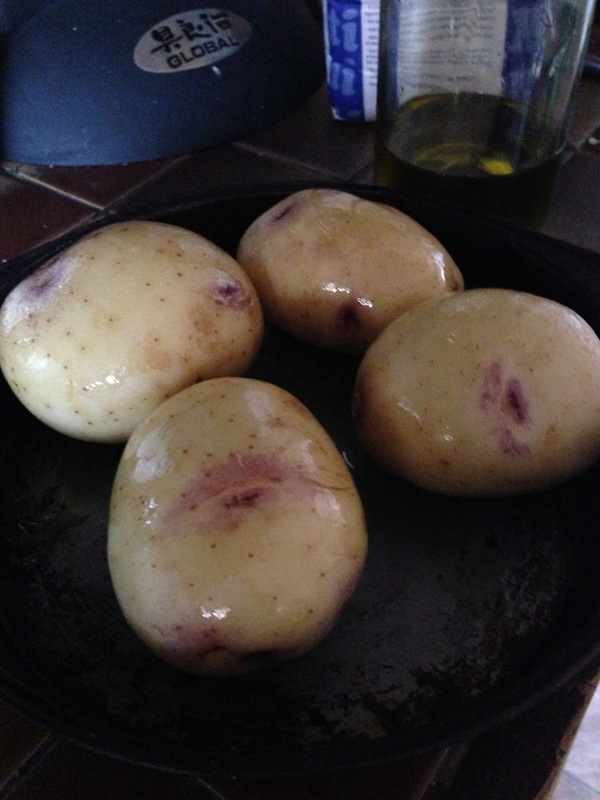 Rub potatoes with olive oil, prick them with a fork and lay them in a roasting tray. Put in the preheated oven and bake for an our until the potatoes are fluffy on the inside and crispy on the outside. Allow them to cool slightly then when they are still nice and hot, use a tea towel to pick up your potatoes one at a time, cut them in half and carefully scoop the flesh out of the skins into a mouli or ricer. When you have a lovely and smooth mashed potto put it into a bowl. Add the nutmeg, a tablespoon of salt, a pinch of pepper, the egg yolk and enough of the flour to bind your mixture - you may not need much at all (I needed a lot). Mix together and kneed with your hands until you have a dry doughy consistency. Add a little water or flour if needed. If unsure test one by chucking it in some boiling water - if it falls apart, add a but more flour to the dough. 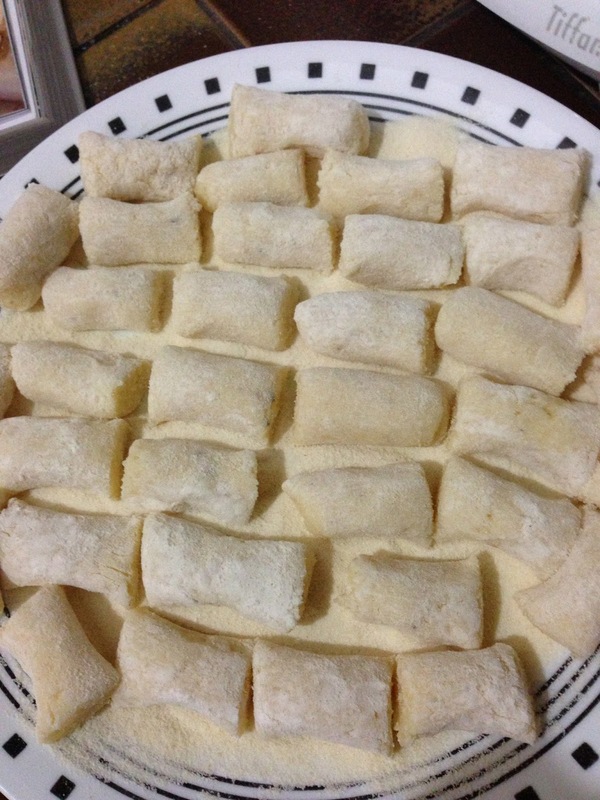 Once you have your gnocchi dough, divide it into 3 pieces and roll each piece out on a floured surface into long tubes the thickness of a sausage, cut each of the tubes into 2.5cm/1 inch pieces. Place them on a bed of semolina flour on a tray and put in the fridge for at least 10-20 minutes to set. 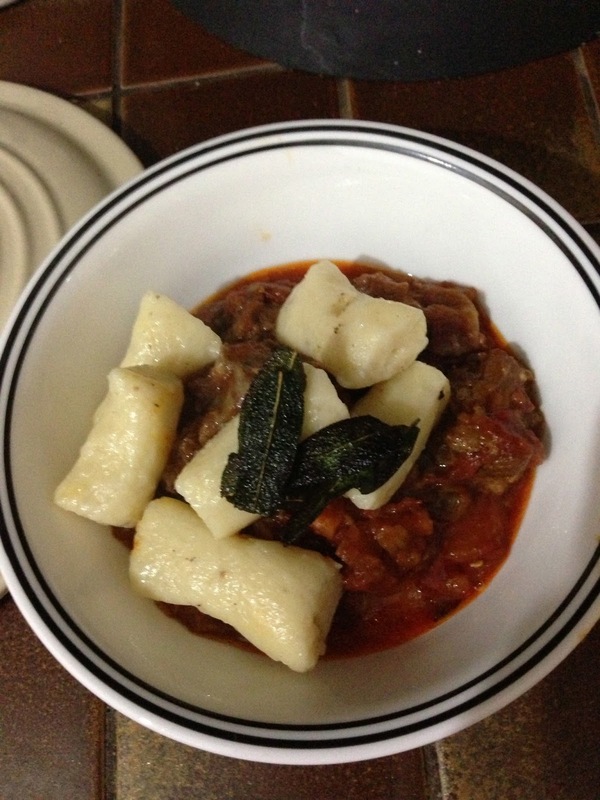 Once the gnocchi is in the fridge reduce the heat to 150°c . Get a large ovenproof saucepan hot and add a splash of olive oil. Sear the oxtail until brown on all sides, then add the celery, onion, carrot and leek. Cook gently until golden brown and add the wine an your crushed spices, cinnamon, chilli, tomato puree and the tins of tomatoes. Top up with a little water - you just need enough to cover the meat - and put a lid on. Put the pan in the oven for 4 to 4½ hours, until the meat is falling off the bone. Remove from the oven and lift the meat out of the stew. When cool enough to handle, shred all the meat off the bones. Pick through the meat with your fingers to make sure that no bony bits remain, then put the meat back in the pot. Add the oregano, simmer for 15 minutes and season to taste. Meanwhile, put a pan of salted water on to boil and cook your gnocchi for 4 minutes, or until they float. While your gnocchi are cooking, fry the sage leaves in the butter until crispy and dark green, then drain them on kitchen paper. Carefully drain your gnocchi, toss in the oxtail stew with some fried sage leaves and serve with some freshly shaved parmesan if you like. 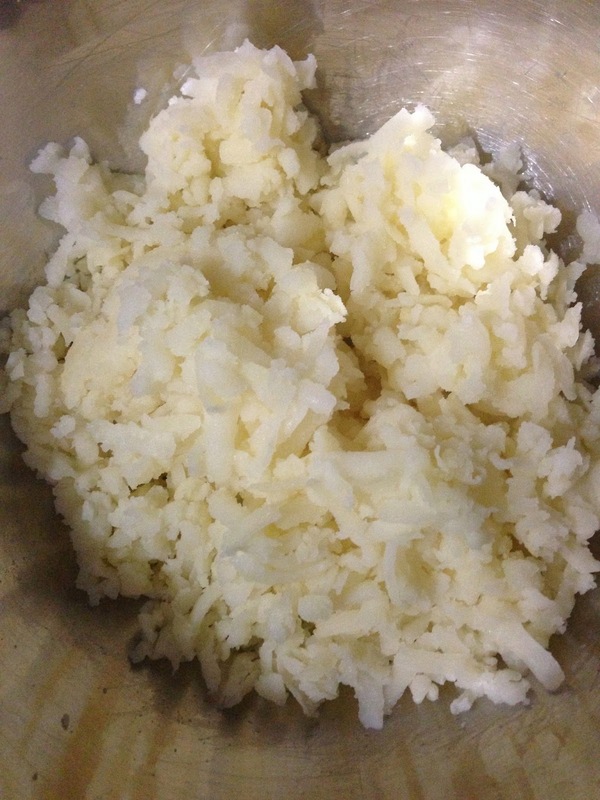 Changes Made: Grating my potato rather than using a ricer. Results: Absolutely amazing.. put down the computer and start to cook! Next Time: May try to invest in a ricer as they are cheap these days and would have made life much easier.